The 300 HAM’R is an exceptional evolution of the 300 round making it a flat shooting powerhouse. Like many industries, the firearms world is broken into those who talk about innovation and those who do innovation. One of the leaders in the innovation category is Bill Wilson of Wilson Combat. Wilson Combat has a well-earned reputation in the firearms industry by producing some of the finest guns in the world. It is because of this that I was not overly shocked when I heard that Bill Wilson had once again created something new for the shooting world. 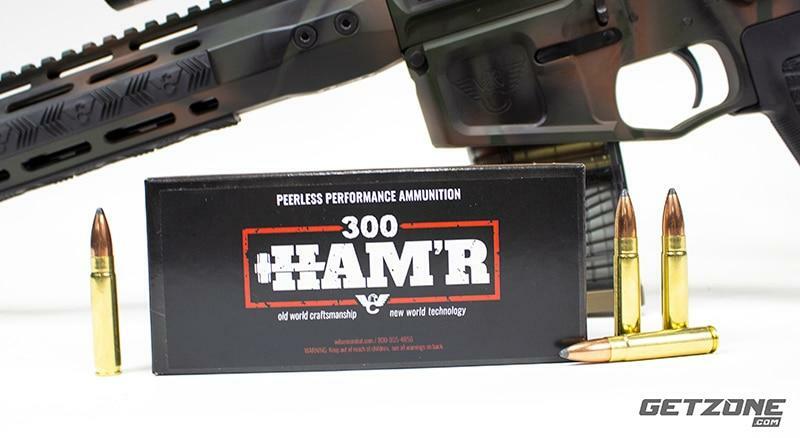 Introducing the new 300 HAM’R cartridge and rifle. 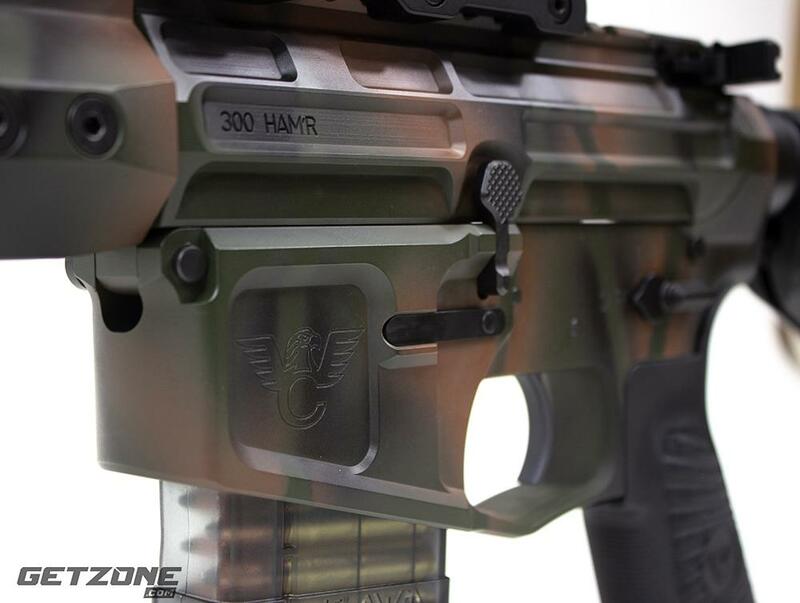 The 300 HAM’R rifle is everything you would expect from Wilson Combat — well-made and designed for performance. 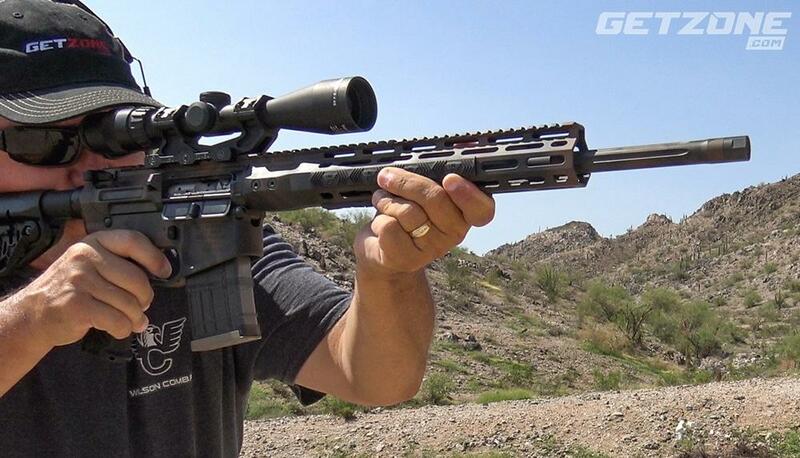 This new release is a double whammy of both a new round and a world-class rifle to run it in. The 300 HAM’R project spanned 13 years after J D Jones sent Bill Wilson one of his 300 Whisper uppers and a set of dies in 2005. The cartridge seemed like a good idea other than for it to fire heavy subsonic bullets, a short case with minimal powder capacity was required. Being an avid hunter Bill’s primary interest was terminal performance and the 300 Whisper just didn’t get the job done for him. So he began a quest to create a .30 caliber cartridge that could be fired from an AR15 platform utilizing the original 5.56 bolt, and he was going to call it the .30-30AR. Following an ongoing up and down of development, load changes, experimental designs they began to close in on a successful design. When asked about it, Bill Wilson shared, “During the early testing we were calling it the .30-30AR. That was the name on the original chamber reamer print and what we engraved on early test barrels. My buddy Terrill said something to the effect of, “Only us old guys know and care much about the old thuty-thuty.” So, we came up with a bunch of potential names and my son Ryan said, “We just came out with the 458 HAM’R and we have a trademark on HAM’R so let’s call it the 300 HAM’R!” Now 13 years later, THOUSANDS and THOUSANDS of rounds downrange, several scrap barrels, one upper blown up and hundreds of dead Texas feral hogs we have the 300 HAM’R that not only meets all of my original goals for the project but exceeds them! The 300 HAMR’R proved to be a very accurate flat shooting rifle. The rifle I received from Wilson Combat was everything that you imagined it would be. A mix of ballistic art and function. 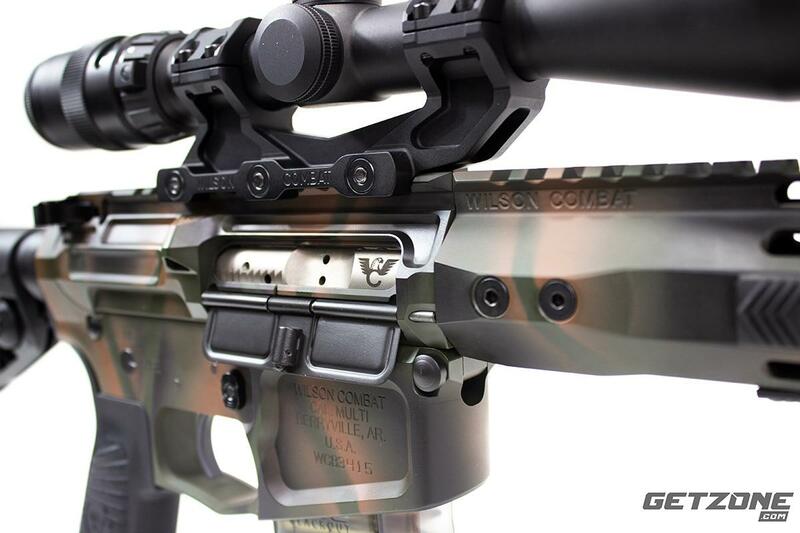 As with every Wilson Combat AR rifle I have ever run, it had an exceptional fit and finish. This model had an 18″ fluted match grade threaded barrel with a 1:15 twist, which is optimized for accuracy with 110-grain to 135-grain bullets. A Wilson Combat 12” M-LOK rail covers the barrel with three Wilson Combat rail covers. These provided a solid yet not a bulky grip surface. 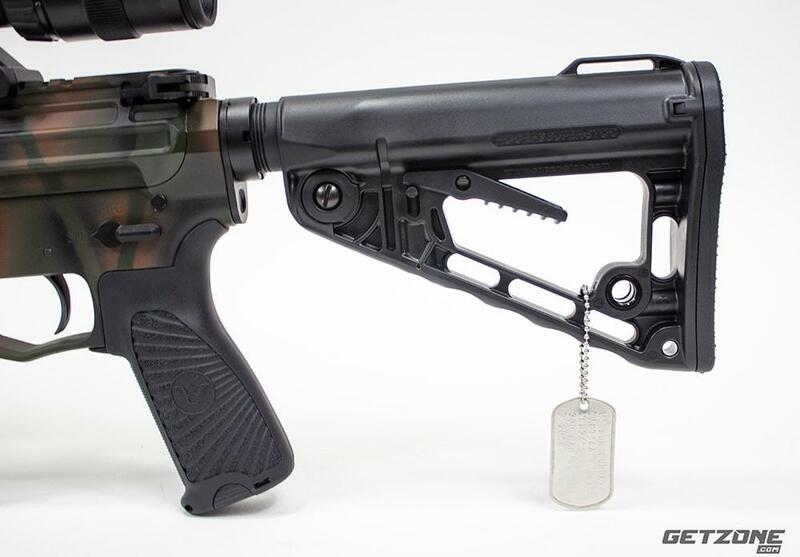 It has a lightweight billet flattop receiver as well as a billet lower. It houses the Wilson Combat TTU (Tactical Trigger Unit) M2 that broke cleanly at four pounds. It also holds a premium Mil-Spec bolt and bolt carrier that has been MP inspected and NP3 coated. The charging handle comes from the good folks at BCM and is a perfect match for this rifle. The grip is a black Wilson Combat/BCM Starburst Gunfighter grip that is as functional as it is good looking. Wrap the whole thing up in a good-looking Armor-Tuff® finish and you have the complete package. The rifle I tested came with a threaded barrel with cap. We were able to punch out a ½” group using the 300 HAM’R. Shooting wise, the trigger was absolutely clean and crisp and the weight of the gun-soaked up most of the mild recoil. It was a very fast and flat shooting gun. Since I was in possession of a significant ammo stash, I continued to punch paper and steel at a variety of distances. I easily managed headshots on steel flippers at 100 yards and began to look further and further downrange for targets. I was limited to 300 yards but the gun ran like a champ from point-blank range out to my max for the day. I had zero malfunctions and attribute most of that to solid design and the use of a longer gas system. The 300 HAM’R was everything that I had hoped it would be. 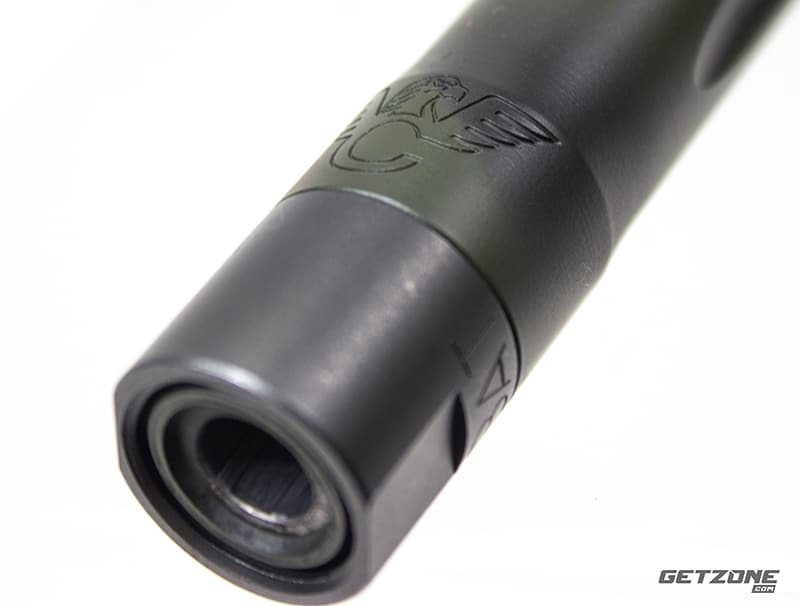 The round is a powerhouse with a 300 FPS and 400 FPE advantage over 300 Blackout at the muzzle. It is everything that we want the 300 to be. I have had the pleasure of shooting with Bill Wilson and know that he is not quick to just push something to market for the sake of just keeping up with the Jones’. He is dead serious about this package and was quick to say, “I’m going to make a bold claim that I can back up with proven performance. The 300 HAM’R is the most powerful 5.56 based .30 caliber cartridge that can be fired from the AR15 platform utilizing a standard .223/5.56 bolt.” With over 200 dead Texas hogs as test subjects, I believe the man when he says that. Wilson Combat has developed a variety of loads ranging from 110-grain to 150 grain. Now I know what some of you are saying. Proprietary cartridge, proprietary upper…fill in the blank. While it is true that this comes from Wilson Combat there are options beyond them. First off, any AR15 platform rifle can be converted to 300 HAM’R with a simple barrel change and the use of 300 Blackout magazines. Ammunition wise, factory Starline produced 300 HAM’R cases are available, but cases can be made from common and available 5.56/.223 cases. As a final note, Seekins Precision has confirmed they will also manufacture and supply barrels, uppers and rifles in 300 HAM’R and Black Hills Ammunition is planning on loading ammo late in 2018 and listing in their 2019 catalog. It looks like the round and gun is here to stay. The 300 HAM’R has a spectrum of applications. 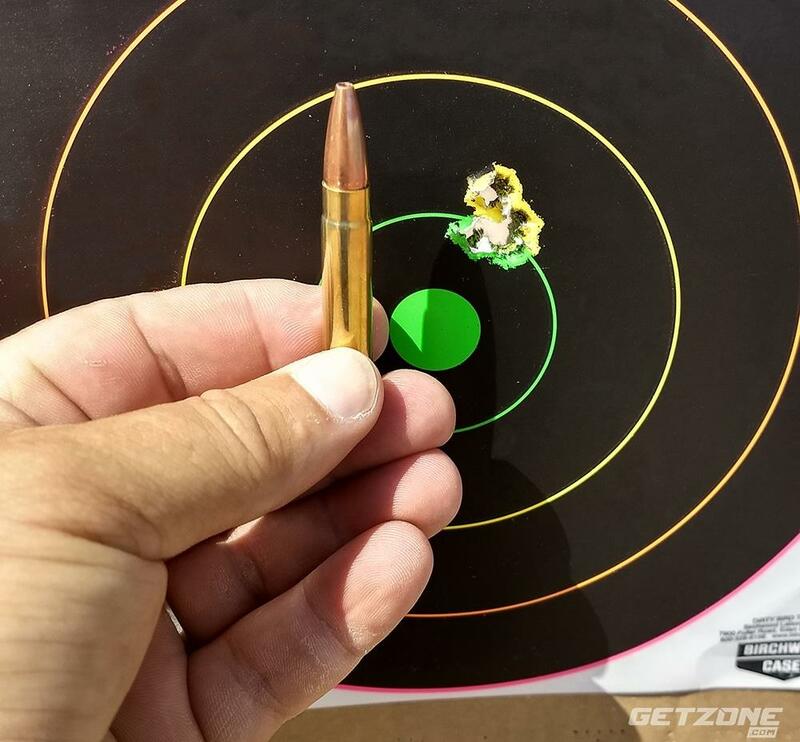 Its performance in the hunting fields prove the cartridge’s increased terminal performance over its 5.56, 6.5 or 6.8 rivals and make it an optimal choice for home defense. Its terminal performance and magazine capacity make it a smart choice for tactical use or protecting your family. It has serious punching power in a small package. The round and gun were designed for optimal terminal performance and offers near .308 Winchester effectiveness, amazing accuracy and low recoil in the lightweight and compact WC15 platform. While I have had the pleasure of running a variety of guns over the years, I rarely look at a gun or round and call it a game changer. The 300 HAM’R is just that and more. The rifle comes with a Rogers/Wilson Super-Stock. The fit and finish on the rifle and good with no harsh edges and the inclusion of a Armor-Tuff® Finish. The HAM’R coms with a premium Mil-Spec Bolt and Bolt Carrier.